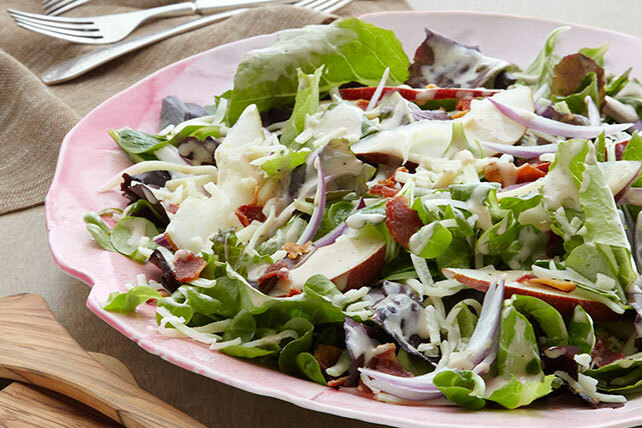 Discover the bistro-style appeal of our Creamy Balsamic-Pear Salad. Bacon bits, sliced pears and red onions make this balsamic-pear salad eye-catching. Add dressing gradually to mayo, stirring with fork or small whisk until blended. Prepare using KRAFT Shredded Italian* Five Cheese Blend. Prepare using any other variety of fresh pears.